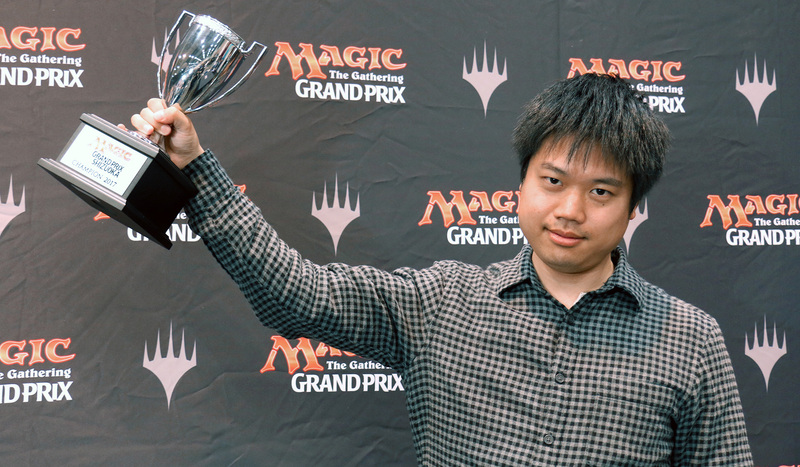 Ryohei Kirino took Owen Turtenwald’s Mardu Ballista deck, entered his first Grand Prix ever...and won! This weekend marked the first time that Ryohei Kirino entered a Grand Prix, and it couldn’t have gone better for him. Piloting an exceptionally strong Mardu Ballista list (the same one that Owen Turtenwald had a strong showing with at Grand Prix New Jersey last weekend) he bested everyone and took the trophy. Earlier on Saturday morning, 2,719 players arrived to participate in the main event——the Spring edition of Grand Prix Shizuoka 2017. Although various brewers showed up with cards like Aetherflux Reservoir, Relentless Dead, Aetherworks Marvel, Bristling Hydra, and Invigorated Rampage, the Top 8 featured six Mardu Ballista decks, a Temur Tower deck, and a Jund Smasher deck. In the end, Kirino’s proficient use of removal spells during his Top 8 matches paid off for him, as did the power of his Mardu Ballista list. It can right rightfully be called the best version of the best deck right now, while Kirino can now say that he has never played a Grand Prix that he hasn’t won. It’s the kind of story that keeps us all dreaming. Congratulations to Ryohei Kirino, champion of Grand Prix Shizuoka 2017! Yesterday, after nine rounds of Swiss, the original field of 2,719 players had been whittled down to just 858. Today, six more rounds would be left to play before the cut to the Top 8. At the start of the day, ten players were leading the pack with perfect 9-0 records. The ten undefeated decks were: two Mardu Ballista, two 4-color Saheeli, and two B/G Constrictor, as well as one copy each of Temur Tower, Temur Marvel, Marvel Cat, and G/R Energy. Earlier this morning, 2,719 players arrived at the Twin Messe in Shizuoka with their best Standard decks. Nine rounds later, ten players stood undefeated: Takehiro Fujimoto, Ryohei Kirino, Takehiko Matsumura, Kazuki Yamada, Masayasu Tanahashi, Yuki Matsumoto, Takanori Watanabe, Chuan Sun, Yoshifumi Karatsu, and Makoto Higuchi. The hashtag for Grand Prix Utrecht is #GPSHIZUOKA. Join the conversation!